These Are a Few of My Favourite Themes. Happy first full day of MoFo everyone! Okay, for the people aiming to blog every single day during September this is technically day two but for round up purposes I’m calling it the first day & there’s nothing you can do about it! As is usual for a Monday morning (um, not really) I got My Favourite Things stuck in my head and then it hit me, favourite themes! What a perfect way to kick off the MoFo round ups. There are no raindrops on roses or cream coloured ponies here but there are some pretty fun themes and probably, knowing vegans, some whiskers on kittens! 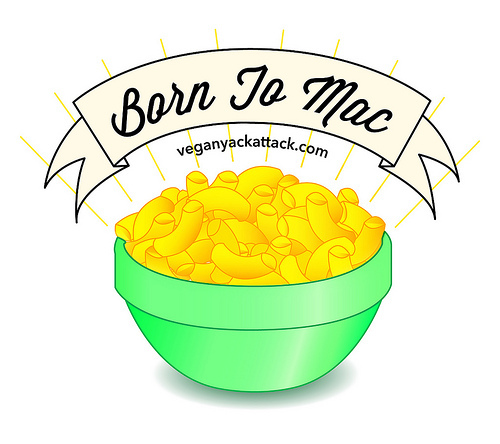 Because I have my very own obsession with Mac & Cheese the first theme to jump out at me was Vegan Yack Attack’s Born To Mac with accompanying epic graphic. Throughout the month Jackie will be posting mac recipes and, if the mouthwatering pictures in her intro post are anything to go by, I can’t freaking wait. On the subject of epic graphics this one made me fall head over heels in love with Cadry from Cadry’s Kitchen. Cadry’s Back to the Future themed MoFo will see her using the flax capacitor (see what she did there?!!) to cruise back through space and time and to feast upon meals from other periods of her life. It’s gonna be rad, check it! Continuing with our tour of US themes my fellow VeganMoFo team mate, Amey, from Vegan Eats & Treats is running with a Noshtalgia theme. She’ll be focussing on re-creating foods that remind her of people she loves. I’m already thoroughly enjoying reading the stories Amey’s sharing from her childhood and I don’t mind admitting that this theme totally gives me the warm and fuzzies. If you’d care to follow me to Canada you’ll see that Crystal and Trevor from Naked Vegan Lunch are going to be imagining that the Seinfeld world was vegan. Yup, you read that right! Seinfeld MoFo! This month we’ll see the blogging duo taking a virtual journey around Manhattan in the 90’s and I for one am excited to see what comes outa their kitchen. 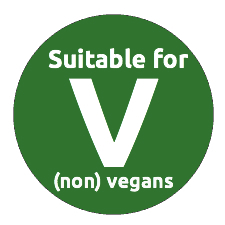 Hopping across the Atlantic ocean to the UK we’ll find Caitlin from The Vegan Word who’ll be blogging with the theme Suitable For (non) Vegans. This theme will see Caitlin focussing on showcasing awesome dishes that you can use to introduce the non-vegans in your life to vegan food. Such a great idea and I bet it’ll be helpful for a tonne of people. If we continue onward into Western Europe we’ll find Mihl from seitan is my motor veganising the A – Z of Classic German Desserts. I’ve been a big fan of Mihl’s writing and recipes (not to mention photography) for longer than I can remember and her MoFo theme is guaranteed to make you wanna get into your kitchen, pull out all of your flours and get baking. There are so many other awesome themes going on out there in MoFo land, from day of the week themes to month long epics. Sadly we can’t mention them all but do leave your favourites in the comments so that we can check ’em out. The blogrolls are going up as we type! Oh wow, checking out those links now and they’re full of fantastic! That Back in Thyme graphic is the most adorable thing ever. And Seinfeld! I think I’m in love. As always, there are so many terrific themes this year and many delightful non-themed blogs as well. I’ve already been enjoying several of the blogs you mentioned here, and I’m glad that you pointed out the Seinfeld theme over at Naked Vegan Lunch. What a hoot! Thanks for the mention! What a nice surprise! These all look like amazing blogs! thanks for the shout out! Yeah, there are so many great themes. Today on randomofo I found a blog who was doing Market Mondays – with finds from the farmers market. It was awesome! Thank you for this little round-up! Thank you, Jojo! 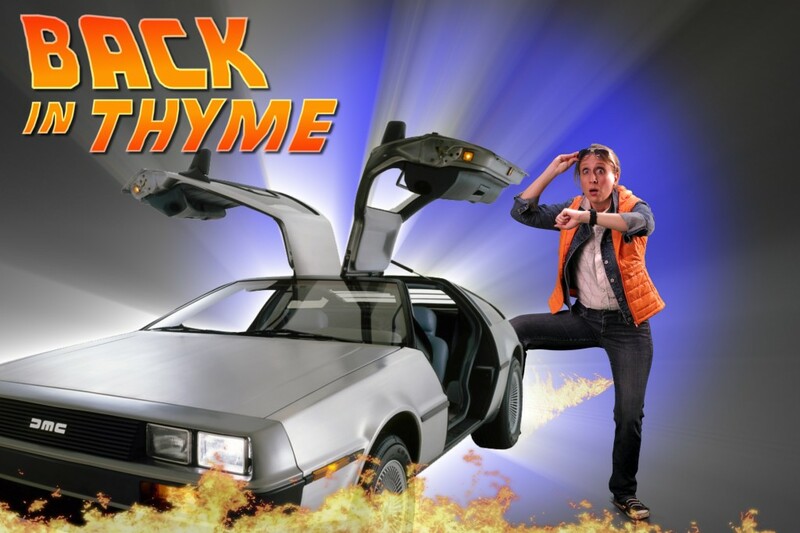 Back in Thyme, that is hilarious! And I love the mac and cheese theme, too. Haha, no! But I love it, I just had to narrow it down somehow so I picked people with fun graphics! Looking forward to the month! I’m so excited for this. Thank you SO Much for hosting this wonderful event. Loving the creativity. 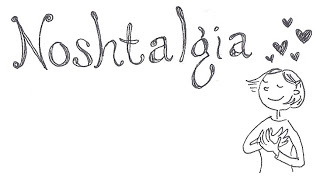 I am trying to make it a goal to visit more blogs this year. These are awesome!! These themes all sound amazing! I wish I was cool enough to come up with a theme. Instead, I will live through all of these fantastic blogs!